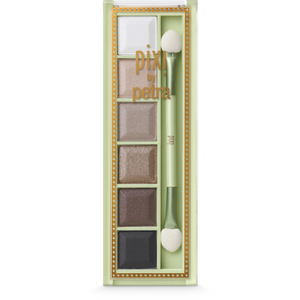 Created with six stunning shades, the Mesmerizing Mineral Palette in Silver Sky by PIXI is the ultimate eyeshadow palette. Created with long lasting, creamy formulas these gem-stone inspired hues are easy to apply and perfect for blending, meaning you can create your own smoky eyed look. Complete with a double sided application sponge.